I have a new book out! And it’s not a western! What?!?! Why would I do that? Well, I’ll share more about how I decided to write this series and what inspired this particular book. But first, here’s a little more about the book. And you also get to see my new author picture! A few years ago, I got the itch to write a Beauty and the Beast retelling set in Israel. So I did. A couple years went by and I didn’t do anything with the story except a quick edit. Then sometime in 2016 I think, I got the idea of doing more fairy tale retellings set during the time around King David’s reign. I already had an idea for a Rapunzel retelling that a friend and I had started together, sort of, but never finished. As I tried to come up with other ideas of tales to retell, I asked my family for help. My mom actually came up with two of the basic ideas. Her first idea she gave me was for a Hansel and Gretl retelling set during the end of King Saul’s reign when he goes to visit the medium (or witch) or En-Dor. 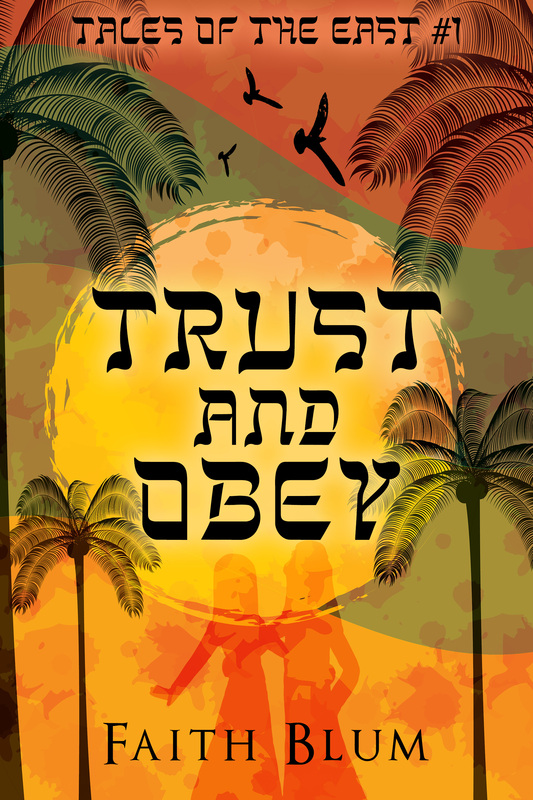 That’s all she gave me, but my wheels started turning and I came up with the rest which turned into this novella, Trust and Obey. This isn’t the end, though. It is only the beginning of the Tales of the East series. All of the books will be novellas which are just a little shorter than many of my novels. So far, I have ideas for a total of 5 retellings including (in order of publication) Beauty and the Beast, Rapunzel, The Twelve Dancing Princesses, and Cinderella. All the novellas will be set during the times of Kings Saul, David, and Solomon with some well-known historical facts as well as some lesser known facts interspersed in all of them. Do you have any fairy tales you absolutely love and that I could add to my series? I’m open to ideas!